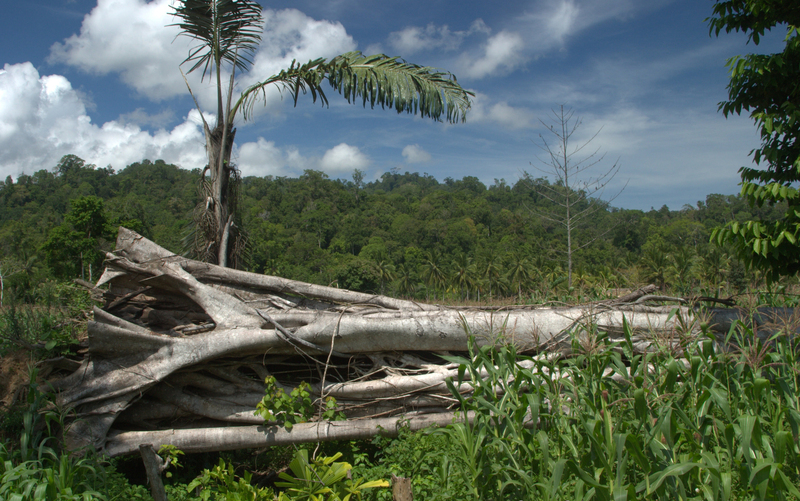 Deforestation in Sulawesi: Halting forest destruction gives birds the best chance to adapt to climate change. Image © Cagan Sekercioglu. Ecosystems will likely suffer under even relatively low levels of climate change, according to a comprehensive new re-analysis of dozens of previous studies. With just 1.6 degrees Celsius of warming (above pre-industrial levels), severe damage to ecosystems is possible, and for species, loss of ranges and extinctions. What is more, these negative effects will “rapidly increase” as global average temperatures rise above two degrees Celsius. At particular risk are species of coral reefs, the Arctic, mountains and Mediterranean ecosystems, including those of many biodiversity hotspots. Above 2.5 degrees Celsius, the collapse of critical ecosystem functions are projected, with irreversible effects such as the widespread degradation of coral reefs, extinctions of key species, or positive feedback that accelerate the release of greenhouse gas emissions. The study was a meta-analysis of 74 previously published studies by Rachel Warren of the Tyndall Centre for Climate Change Research and her colleagues. This study advanced the field because it referenced these previous studies to one pre-industrial baseline for temperature. This provided a common reference point. To protect the majority of ecosystems, humanity must seek more stringent targets for warming than currently, that is, keep warming below two degrees. Also, stopping deforestation (and preventing other forms of land use change) will give species their best chance to adapt to climate change that cannot be stopped, the authors state. Source: Warren R., Price J., Fischlin A., de la Nava Santos S., & Midgley G. (2011) Increasing impacts of climate change upon ecosystems with increasing global mean temperatures rise. Climatic Change 106:141–177.